Hinta sisältää alv 10 %. Viimeisen kymmenen vuoden aikana ruotsalainen kukkasuunnittelija Per Benjamin kehitti oman värimallinsa. 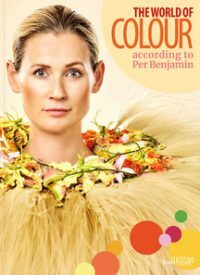 Per Benjaminin mukaan väri maailma on opettava-viihdyttävä-inspiroiva kirja, jossa hänen väriteoriaa selitetään tekstissä, mutta ennen kaikkea on esitetty hyvin luova, visuaalinen ”hands on” -tyylin kauniissa kuvissa ja värikartat. Kuvat ovat sekoitus studio-teoksista, ulkokappaleista ja tapahtumasuunnitelmista (kuten Nobel-palkinto-palkintoseremonia) ja näyttävät sekä pieniä että suuria järjestelyjä. Kaikki kuvat sisältävät kuvan siitä, miten on mahdollista erottaa värisävyt materiaalista sekä teoriassa että käytännössä. 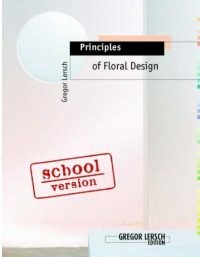 The world-famous handbook Principles of Floral Design by Gregor Lersch sold out many years ago but there is still clearly a need for new floristry and floral design students to have access to it. 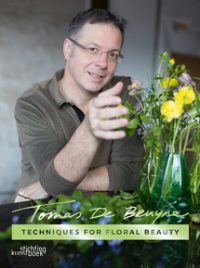 Instead of re-printing the entire volume and to make it more financially accessible to beginners, he decided to release the first bite-size version of the book. 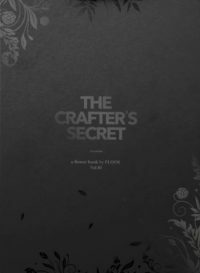 The newly released book of 80 pages reveals the entire theory section of the original volume. It also features line drawings, close-ups and full designs to illustrate the theory. It still highlights the famous colour coded Guideline of Arrangement Categories which is so useful for reference. Gregorin odotettu tekniikkakirja, mm. kimput, morsiuskimput ja asetelmat! Floral diminutives are living little gems that just ask to be given some of our precious attention. 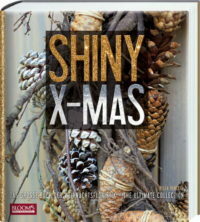 They are small gifts for a variety of different occasions that will surprise any recipient. And they are an opportunity to give pleasure without putting the person in our debt. They are handed over delicately clasped between fore finger and thumb, they are conjured from one‘s sleeve, they are used to make another present even more special, or to say „thank you“ or „I like you“. Or, we may just fall in love forever with one or the other of these fantastical mythical creatures. Floral diminutives are simply different; but very authentic. 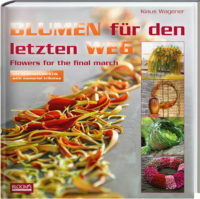 Gregor Lersch discovered them for himself and now invites all friends of floral cultures to uncover them as well. 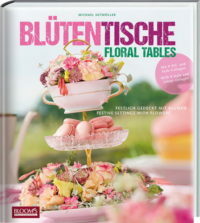 He presents this contemporary addition of traditional floristry by means of more than 100 examples and with a lot of helpful hints and remarks. Suomen Kukkakauppiasliitto on kehittänyt kukkakauppojen laadunhallintaa varten käsikirjan, jonka opastuksella kukkakaupat voivat rakentaa itselleen laadunhallintajärjestelmän. 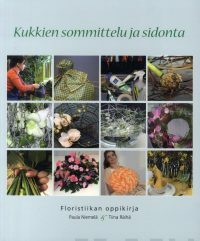 Kaikille kukkakaupan alalla työskenteleville henkilöille suunnattu floristin ergonomiaa käsittelevä opas, jossa pureudutaan mm. työasentoihin ja -välineisiin sekä työssäjaksamiseen. KOEOSTAJAN 12 VUODEN KOKEMUKSET YKSISSÄ KANSISSSA! Kirjassa on yli 200 sivua ja kierresidonta. 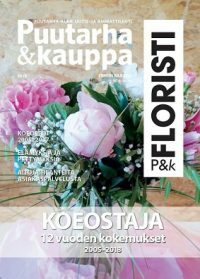 Kaikki artikkelit on julkaistu P&k Floristissa vuosina 2005–2018. Sisältö koostuu 372 ostotapahtumasta. Toimituskulut 7 € lisätään hintaan. joissa ideoita niin suuriin kuin pieniinkin koristeisiin. 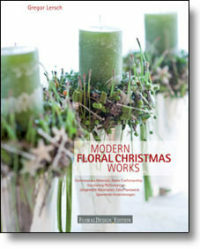 Flowers and plants have a reviving effect and bring a warm and welcoming atmosphere to any room. 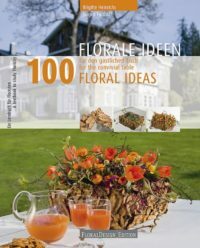 This new book with everlasting floral arrangement examples designed by the creative head of the BLOOM’s design studio, Klaus Wagener, and the florist Radko Ivanov Chapov supplies new and inspiring ideas on the subject. 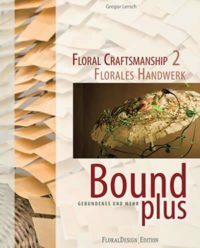 The unusual aspect: besides large decorative objects that dominate the room made from deceptively real-looking artificial flowers, natural branches and dried materials, the book also contains numerous small-scale arrangements that can easily be copied by anyone. Wherever living plants are not a suitable option, the new, outstanding quality of their artificial counterparts looks just as impressive. These days, you can hardly tell the difference, especially if they are arranged in a skilled and innovative way. All of the ideas are described in detail and accompanied by explanatory step-by-step illustrations. 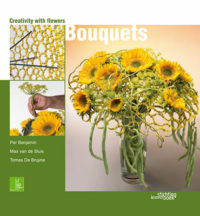 A book with many new motivating ideas for professionals and other creative crafters. Back at last! 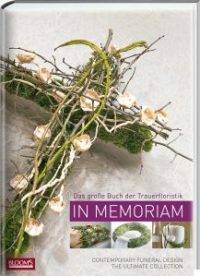 The best-of volume „In Memoriam“, the big book of floral tributes and a perfect and useful source of inspiration and ideas when advising on flower arrangements for funerals. 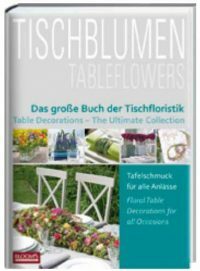 This new publication again describes all of the different categories associated with flower arrangements for funerals: from urn and coffin decorations to arrangements and bouquets, and wreaths of all sizes, styles and designs. New sympathy messages and the demonstration of fast yet effective wreath techniques complete this complex work. It focuses exclusively on visually illustrating the BLOOM’s team’s latest creations and is a collection of designs from the past five years. 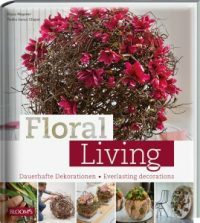 A book you will refer to time and again for more new and inspiring ideas and impulses for your day-to-day floral tribute business! Kirja esittelee erilaisia käytännöllisiä ja kaupallisia vaihtoehtoja surusidontaan. Mukana teknisiä vinkkejä töiden tekemiseen sekä luettelot käytetyistä materiaaleista ja tarvikkeista. 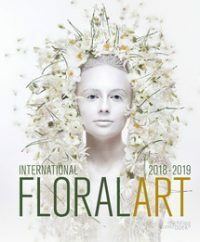 FLOOS project is a digital library of professional floral recipes in which some of the most influential master florists of the world reveal step-by-step secrets of their own designs. The project started online in 2015 with the digital platform www.floos.org. Books authors are Brigitte Heinrichs, Alex Segura, Bea Beroy, Natalia Zhizhko, Daniel Santamaria, Joseph Massie, Berrit Skottgaard and Carles J. Fontanillas. 268 pages. Selkeälukuinen, hyvin kuvitettu kirja niin aloittelijalle kuin kokeneemmallekin sitojalle. Kirjan aiheena pöytäkoristeet erilaisiin tilaisuuksiin, runsaasti eri tekniikoita ja materiaalivinkkejä. Klassikon paluu – vanha tuttu kimppukirja on jälleen saatavilla! Selkeät, kauniisti kuvatut kimput ohjeineen ja materiaalilistoineen niin arkeen kuin juhlaan. Mainio kirja jokaisen kukkakauppiaan hyllyyn!